When you roast a chicken for 2 people, you can make great meals with the leftover chicken. 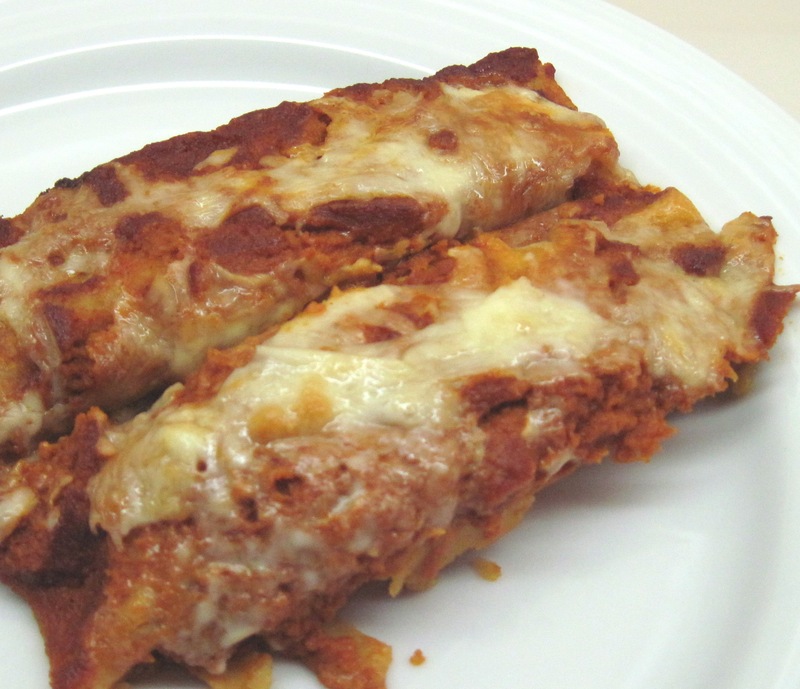 Last night I made chicken enchiladas. 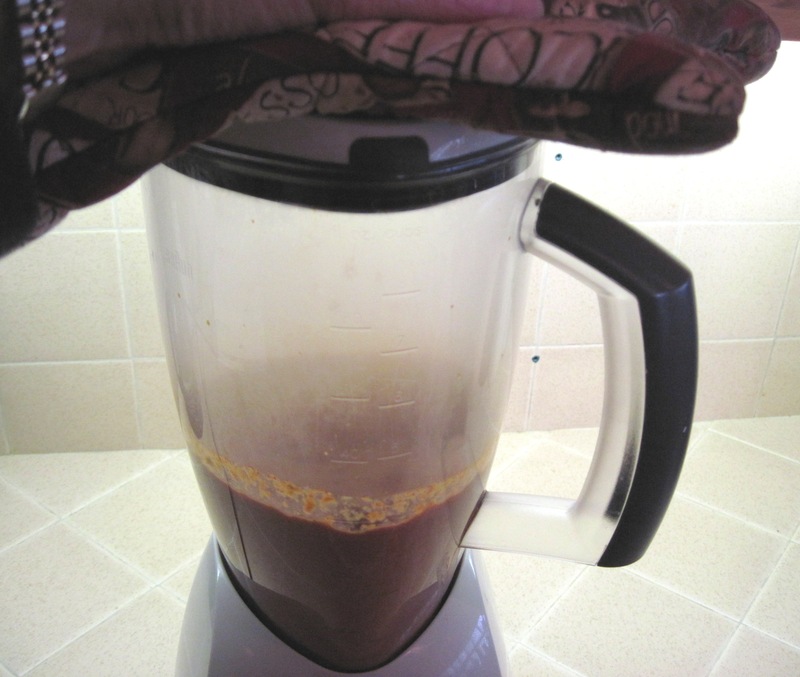 I made the enchilada sauce; for a really quick and easy meal you could substitute canned enchilada sauce. I found a recipe in Joy of Cooking, and cut it in half to make 3 servings; you could double it and use a larger baking pan and cookie sheet to serve 4 – 6. 2. 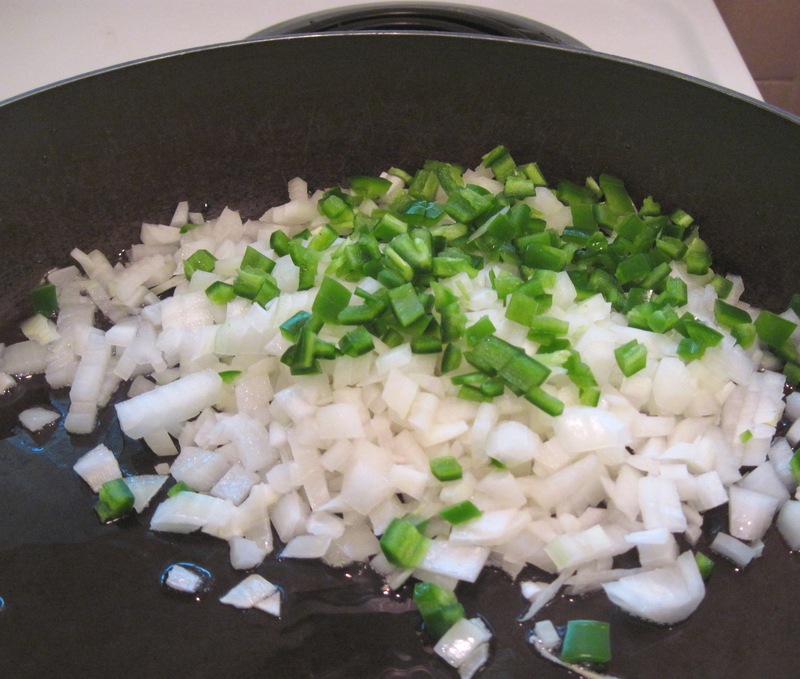 Heat the 2 tablespoons oil in a large frying pan. Add the onion, jalapeno peppers and garlic; cook, stirring often, over medium heat until just starting to brown, about 7 minutes. 3. 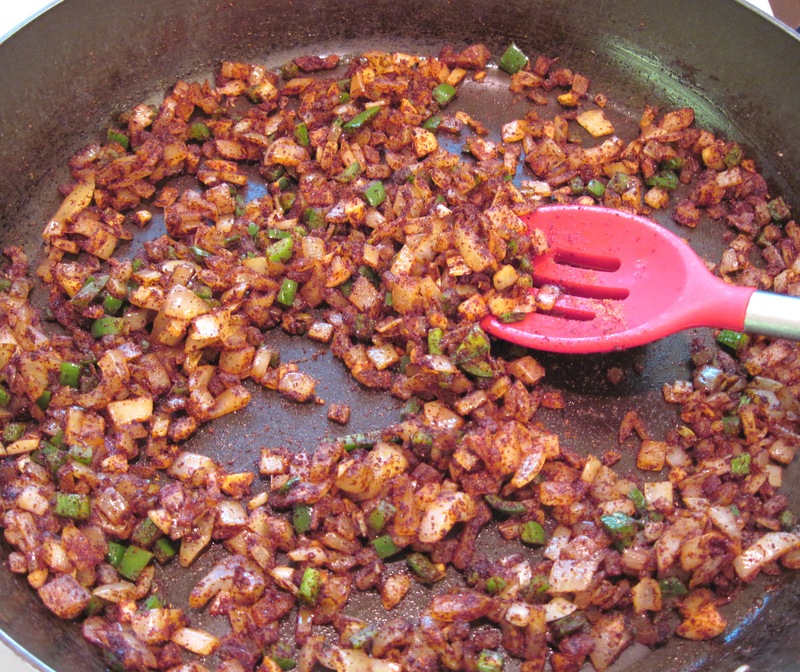 Add the chili powder, cumin, and cayenne pepper; cook, stirring, for another minute. 4. Add the tomatoes and cook for 3 or 4 minutes. 6. Combine 1/3 cup of the sauce with the chicken. 7. Spread half of the remaining sauce in a baking pan. 8. 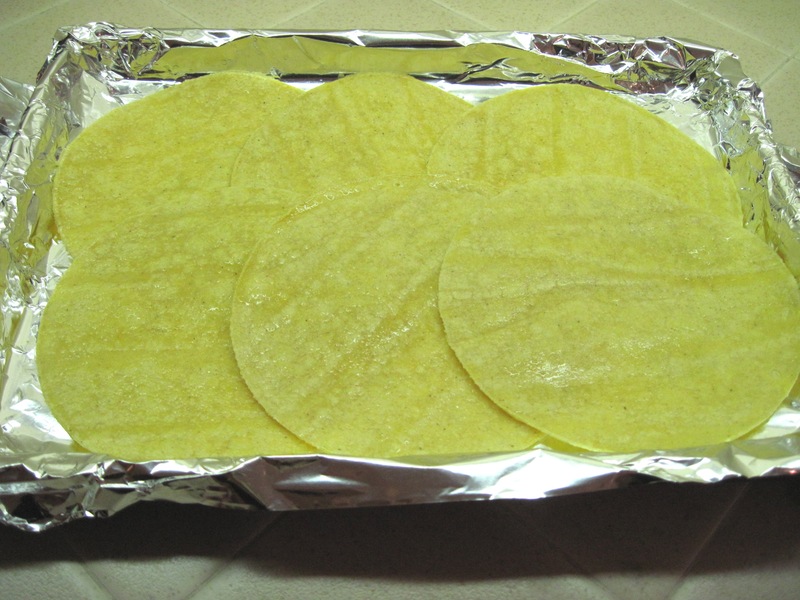 Brush the tortillas with oil and place them in a foil-lined baking sheet. Cover with foil and put in the oven for 5 minutes. 9. 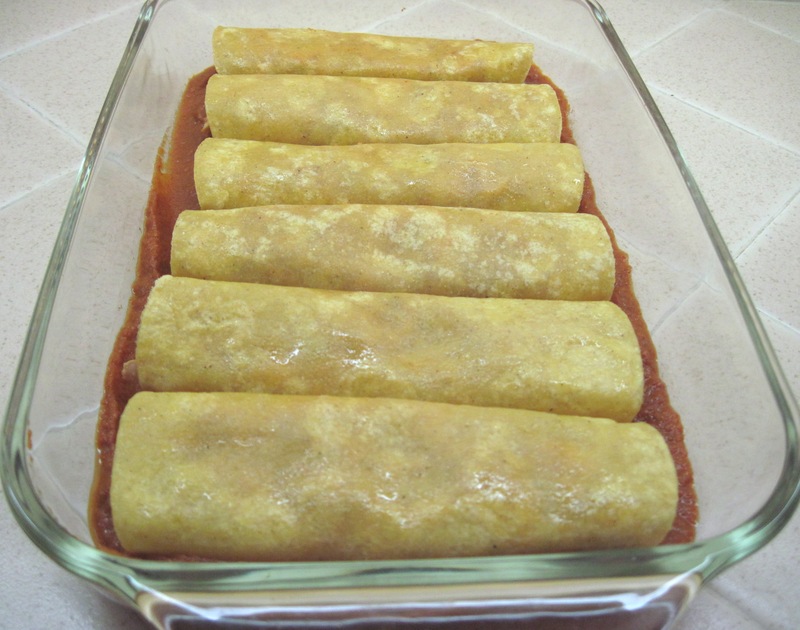 You can make the enchiladas right in the baking sheet when the tortillas are warm. 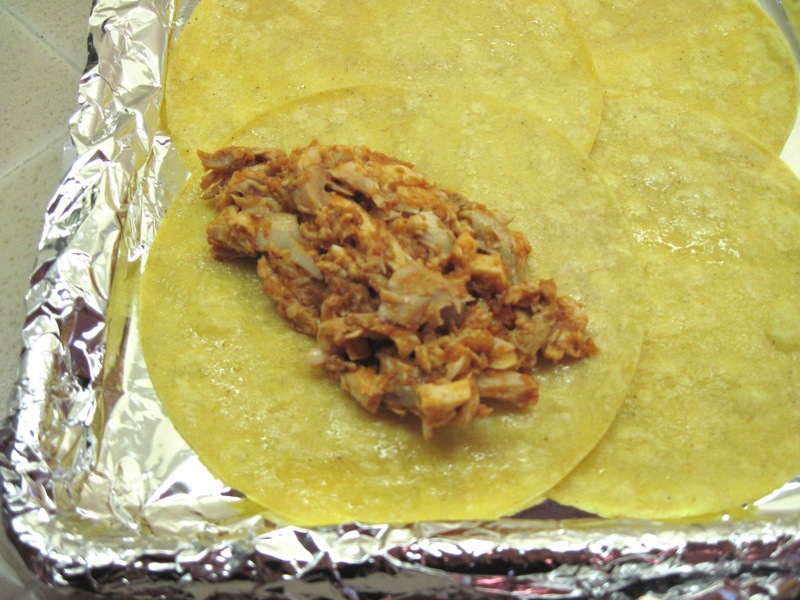 Put about ¼ cup of the chicken on each tortilla. Roll up and place seam-side down in the sauce in the pan. 10. Cover the enchiladas with the remaining sauce. 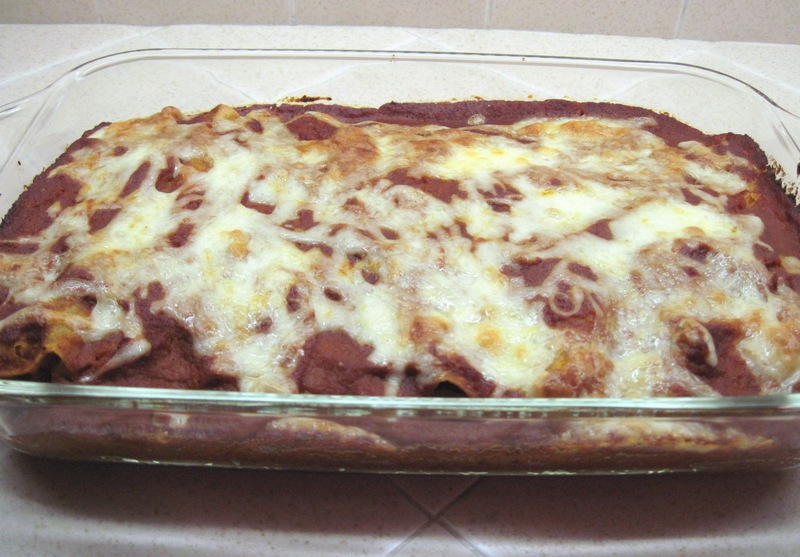 Sprinkle the cheese over the enchiladas and bake for about 15 minutes, or until hot.